An Croi in Ballinalacken, near Doolin, County Clare sleeps 4 people. 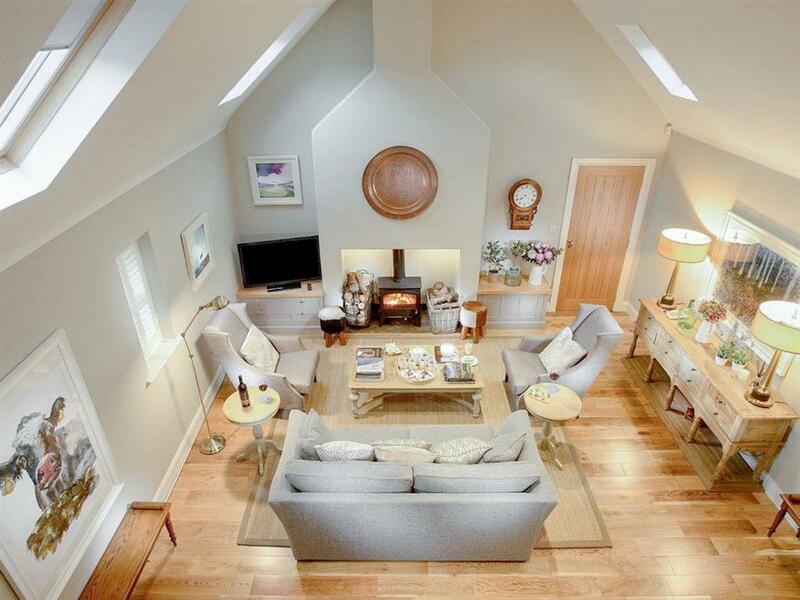 An Croi in County Clare is a luxurious, detached property which is a true gem, nestled in the heart of The Burren. An Croi is situated in a tranquil location on the Wild Atlantic Way, with sea views in the distance, making this an ideal base for exploring this beautiful coastline. This tastefully restored cow shed, translated into Irish ’An Croi’, offers visitors comfort and space. The double height sitting room with wood burner is most inviting, and the lovingly furnished bedrooms have sumptuous super king-size beds. While located inland, it is only 5 miles from the local beach which also offers golf, water sports, pubs and restaurants. Enjoy long walks or a drive along the Wild Atlantic Way to discover the beautiful scenery of the Irish coast and country. Doolin, renowned for its traditional Irish music and ’craic’, is close by. This cottage is a perfect base to discover all that County Clare has to offer. The beach is 5 miles from An Croi in County Clare. With the shop and pub 3 miles, and the restaurant is ¼ mile from An Croi. Approximate distance to Shannon airport is 63 km. Living/dining room: With wood burner and 46 Freeview TV. Kitchen: Galley style with electric oven, electric hob, microwave, fridge/freezer, dishwasher, washing machine and tumble dryer. Bedroom 1: With super king-size bed, French doors leading to patio and en-suite wet room with shower and toilet. Bedroom 2: With super king-size bed and en-suite with bath and toilet. 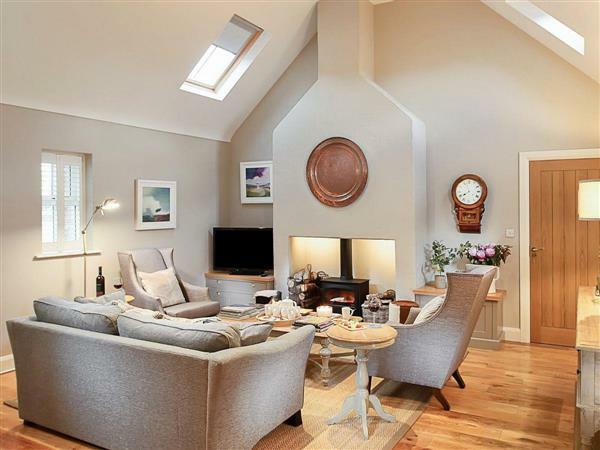 Oil underfloor central heating, electricity, bed linen, towels, Wi-Fi and fuel for wood burner included. Travel cot and highchair available on request. Large enclosed garden with patio, garden furniture and gas barbecue. Bike store. Private parking for 4 cars. No smoking. Please note: No children under 12 years old. Holidays at An Croi run from Saturday to Saturday. For a better idea of where An Croi is, you can see An Croi on the map below. Do you want to holiday near An Croi (W32366), you can see other cottages within 25 miles of An Croi; have a look to find your perfect holiday location.